They can be also machine washed. Masks / Fancy Dress. The unique design allows you to fold the bag for easy travel and storage. Music Accessories. Buy it now Watch this item. You might be interested in. Good for traveling or storaging. 1 × Suit Cover Bag. We will provide the best service we can do, cause the. Color: Black. Size: About 100 60cm. X1 NAVY colour PAIR of SHOE FRESHENERS with GOLFER PRINT. x1 BLACK colour DRAWSTRING fastening CLOTH SHOE BAG by LINKS OF LONDON. x1 BLACK colour with TAN PIPED EDGING DRAWSTRING fastening CLOTH SHOE BAG by EXIMIOUS LONDON. Great for wedding dress or evening gown. 1 x Wedding Dress Cover. Protect your dress from dusts and dirt. Material: Non-woven fabrics, crystal yarn (back). Our goal is. Type: with cover and zipper closure. Description: Specifications: Length: 183cm(72'') Width: 66cm (26'') Bottom width: 25cm (please prevail in kind) Material: non-woven Color: all white (Figure color, only for reference ) Features: High quality non-woven material. Anti-dust, anti-moisture.Allows air to circulate and garments to breathe. 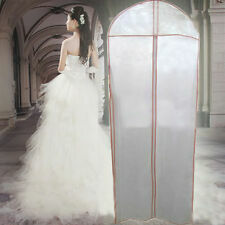 Storage clothing/wedding more convenient and simple,do not worry about clothes folds. (Suitable for: jackets, suits, windbreaker, sweater,etc. Item included: 10 x Clothing Dust Cover. 2) Very thin and clear, convenient and durable. 2) Color may vary slightly due to the color setting of each individual monitor. TheseBags are constructed of durable material and feature a zip closure. Art & Craft. Product Details. 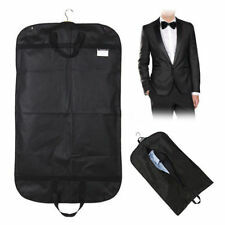 Black Suit Jacket Storage Bag Breathable Clothes Protection Travel Bag 23x50"
Non-Woven Fabric allows the suit to breathe. The Suit Jacket Bag is ideal for storing suits whilst not in use or whilst driving to ensure they stay clean and require less ironing/washing. Allows you to keep suits well organised whilst in storage. TRIXES Delicates Washing Net Bag for Lingerie Laundry Bra Delicate Hosiery. 1 x Delicates Washing Net Bag. Protect your delicate clothing from snagging and tearing while in the wash. Zip seal to stop clothing escaping. Color: (As picture). Item Number:786520. Rate (item arrived). Canada Rate (item arrived) 0.0% 47.1% 31.4% 17.6% 3.9%. LADIES DRESS SUIT BAG. Colour: Cream. Dress Bag with Zip. Dress Bag Size. Great for wedding dress or evening gown. 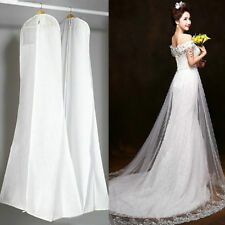 1 x Wedding Dress Cover. Protect your dress from dusts and dirt. Material: Non-woven fabrics, crystal yarn (back). Type: with cover and zipper closure. If item is defective after 3 months, you can still send it back to us. Net A Porter Garment Cover Protector Bag. Net A Porter Garment Cover Protector Bag.. Condition is Used. Dispatched with Royal Mail 2nd Class. 60 x 130cm in Size. Ladies Dress Bag. Protect your Expensive Dress With This Bag. 2 Pcs Suitcase Cover Bag . 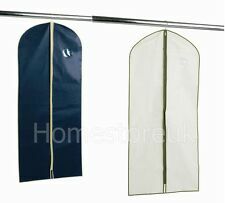 2 Pcs Clothing Covers for travelling. Sports & Exercise. With this amazing 2 Pcs Travel Cover set your Suits and Shirts will stay wrinkle free throughout your trip. Whether hanging in your wardrobe or when travelling by keeping it free from dust within this stylish cover. SUIT BAG Storage. Help to keep your suit in excellent condition. easy to hand from a coat hanger. Black Bath & Wall Sealing Strip Self Adhesive Tape Basin Sink Edge CS. Thumb Splint Trigger Finger Support Wrist Brace Strap for Carpal Tunnel CS. Jumbo Slow Rising Squishies Pineapple Scented Squeeze Strech Kids Funny Toy CS. 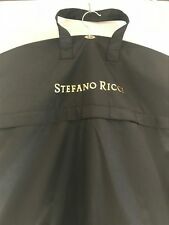 STEFANO RICCI GARMENT BAG, SUIT/DRESS PROTECTOR TRAVEL BAG, WITH HANGER. Foldable in half with snap closer on the sides for easy travel. Handle for easy carry. All item sold is checked prior to despatch. Brand Unbranded MPN Does not apply UPC 4894462358627 EAN 4894462358627 ISBN Does not apply ISBN 4894462358627 UPC Does not apply ISBN Does not apply Designer/Brand Unbranded. Folding storage design, does not occupy space. 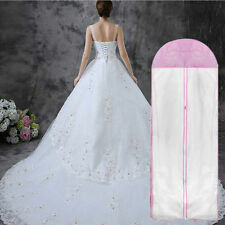 1 x Wedding Dress Dust-proof Bag. Handle design, hang in any place;. colour: Red wine. Scope: Wedding Boots. Note: Light shooting and different displays may cause the color of the item in the picture a little different from the real thing. Lightweight, breathable dress bag, ideal for wardrobe, for travel and for storage of any Ideal for your wardrobe and travel. Black with opening and closing zip. Protects against dust and odours. Easy to clean. Material: Organdy. Length: 160cm(62.99in). Washable and foldable design, easy to clean and storage. Can be used repeatedly, with good breathability. Pullover design, easy to wear off clothes. Hanger hook hole, easy to wear hangers, hang clothes. 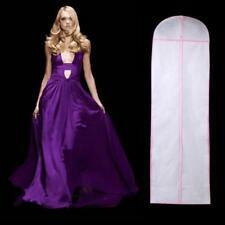 Keep the bride's wedding dresses and other dresses for a clean, wrinkle-free dress when hung in the closet. Effective protection of clothing and clothing from dust, dirt, scratches, pollution and other violations. Color: Black as picture. Rate (item arrived). Canada Rate (item arrived) 0.0% 47.1% 31.4% 17.6% 3.9%. 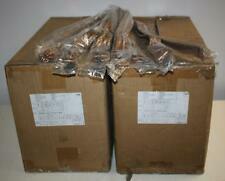 Balenciaga Dust Bags/shoe Bags X 4 Marked.